It’s Super Bowl Sunday!  Who are you rooting for? 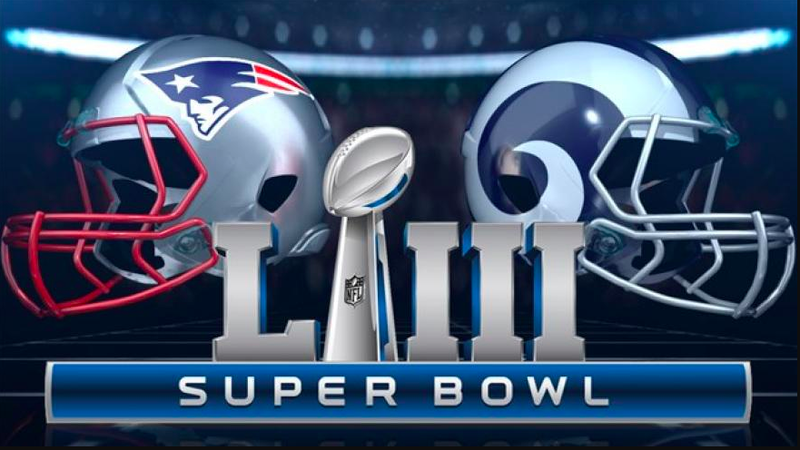 The 2019 Super Bowl will be played at the Mercedes–Benz Stadium in Atlanta between the New England Patriots and the Los Angeles Rams. This is a brand new facility that happens to feature a giant glass wall. While weather again will not be a factor in an indoor stadium for this year’s Super Bowl, attendees will appreciate warmer temperatures outside the venue in Atlanta, Georgia. Kickoff is scheduled for 6:30 pm ET, with Maroon 5 performing during the halftime show. The band will be joined by rapper Travis Scott and Atlanta native Big Boi for the halftime show sponsored by Pepsi. While everyone tunes in tonight to watch the Patriots and the Rams battle it out, we all know a majority of fans will be paying even more attention in between the action, specifically during commercial breaks to see what witty humor advertisers have come up with next!